I've been seriously writing for the last twelve years. The last couple of years have marked significant turning points in my writer's journey. In 2007, I came second in the Mid North Coast Writers Association Short Story competition with Beyond Happily Ever After, and with the prize money, I joined Romance Writers of Australia and attended my first conference. In 2008, Beyond Happily Ever After was published in Wet Ink magazine, and suddenly I was introducing myself as a writer. I also found myself a fabulous critique partner, Kiki. 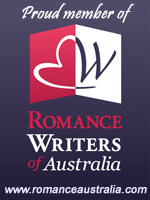 In 2009, I joined the Executive Committee of Romance Writers of Australia and am now Member Secretary of the organisation, after a stint as Social Media Manager. In 2011, Beyond Happily Ever After finalled in the RWA STALI competition (Single Title and Loving It) and was judged 6th in the final judging. Last year, I adopted a new mantra WRITE EDIT SUBMIT. My focus is no longer solely on the first part of the mantra - WRITE. I can do that. I'm now heavily focused on the EDIT and working on craft issues in my writing, and followed by the SUBMIT. In 2010, I started the new year by enrolling in Margie Lawson's Defeat Self-Defeating Behaviors online course. What an eye-opener and amazing process of discovery. Armed with new insights and fantastic tools, I have my two-headed dragon of Self-Doubt and Procrastination corralled into a cage, and I've hung a sign on the front: DO NOT FEED THE DRAGONS. I have reworked my writing mantra: it is now REWRITE EDIT SUBMIT. 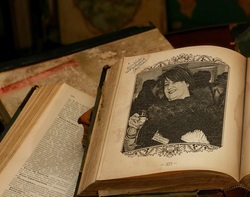 2012 will be the Year of the Edit: the year I learn as much as I can about writing craft and the year of Submit.